New features in our products are summarized on this page. This is not a complete list and so please also see the Release Notes. 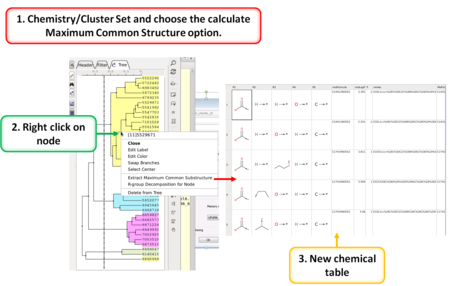 You can download the latest version of ICM from our Support Site or contact us to use the Beta version. 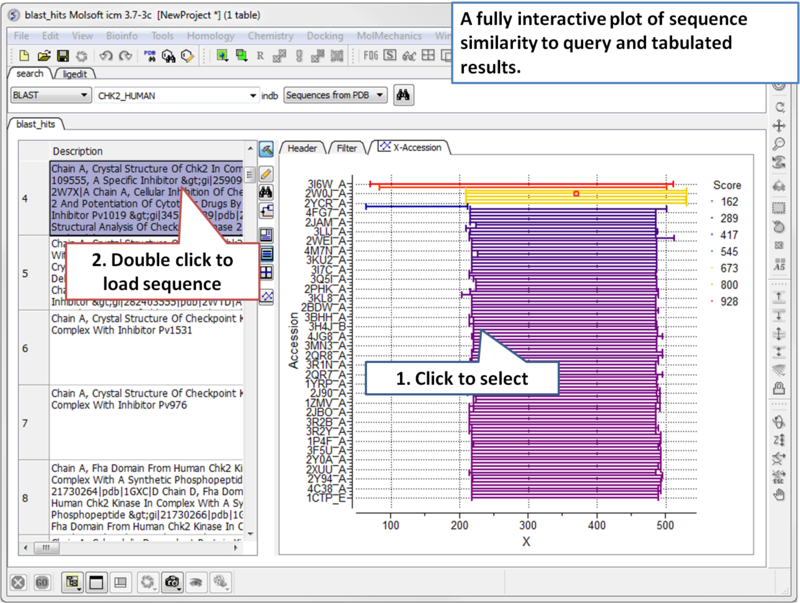 ICM Version 3.8-5 is now available in 64 bit for Mac, Windows and Linux. 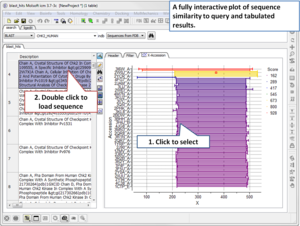 There is no RAM limitiation and so your experience with ICM's performance will be even better. Green shading represents hydrophobic region. Blue shading represents hydrogen bond acceptor. 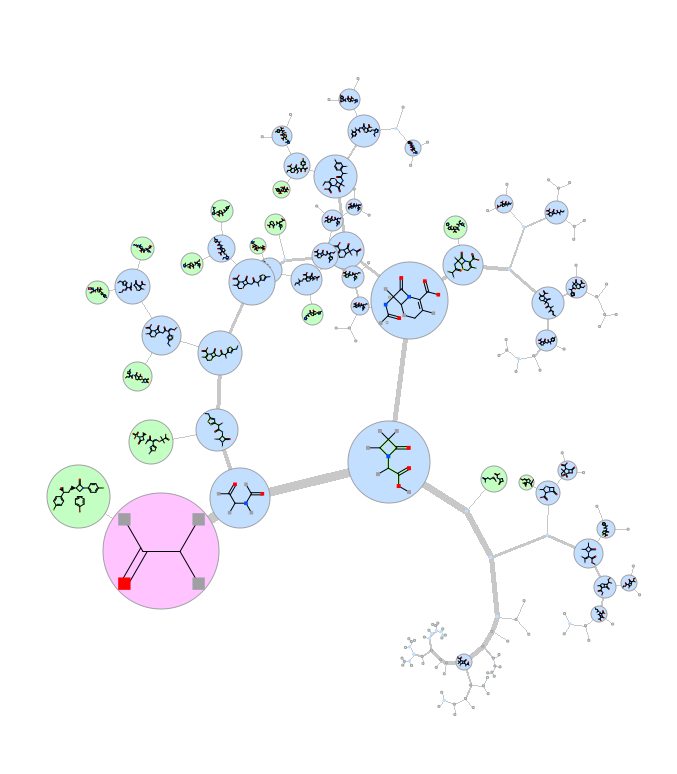 White dashed arrows represents hydrogen bonds. Grey parabolas represents accessible surface for large areas. 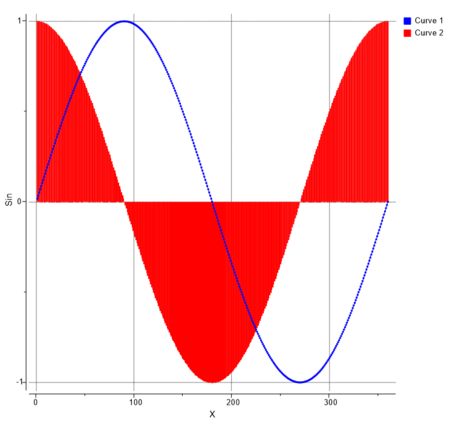 Broken thick line around ligand shape indicates accessible surface. Size of residue ellipse represents the strength of the contact. 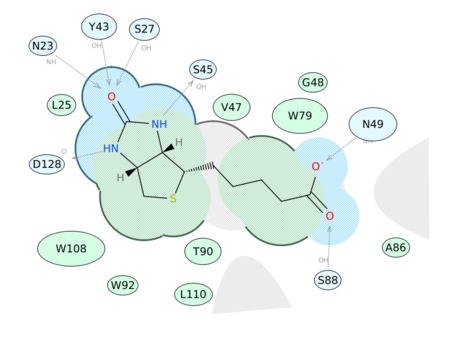 2D distance between residue label and ligand represents proximity. 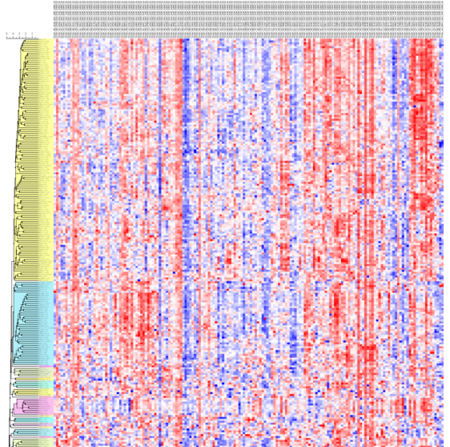 Covalently bound residue represented with thick black line around ellipse. 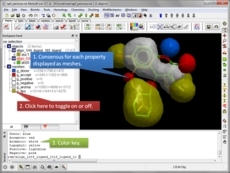 The ligand editor is a powerful tool for the interactive design of new lead compounds in 3D. 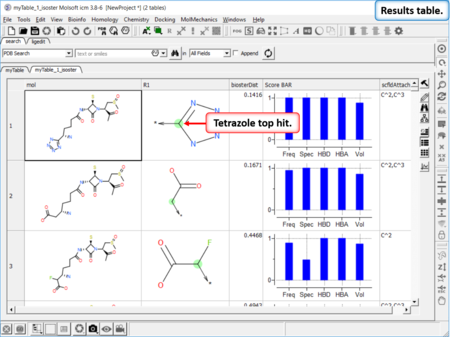 It allows you to make modifications to the ligand and see the affect of the modification on the ligand binding energy and interaction with the receptor. 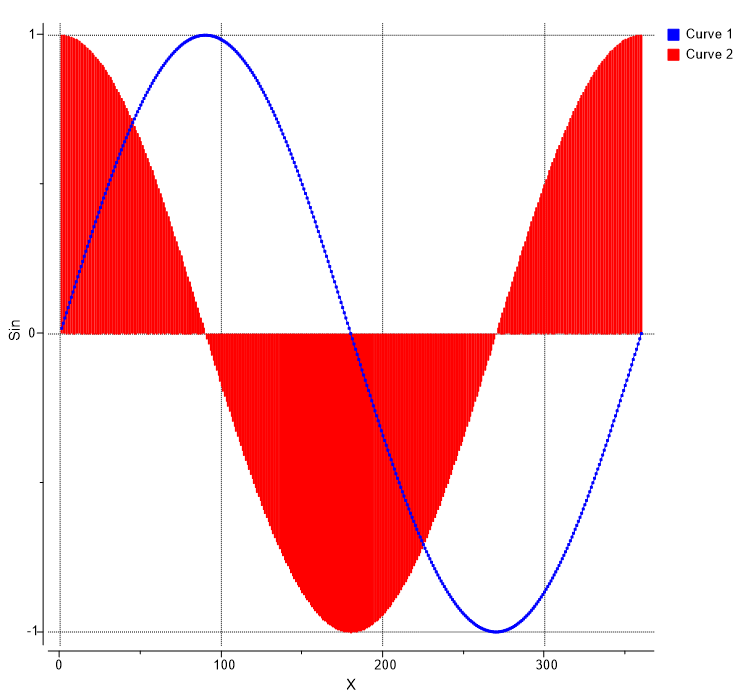 Support for MMTF format. 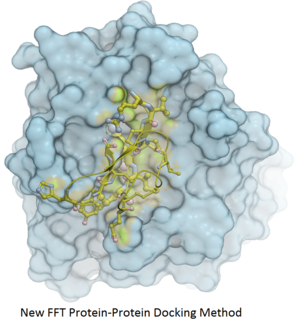 The Macromolecular Transmission Format (MMTF) is a new compact binary format to transmit and store biomolecular structural data quickly and accurately. 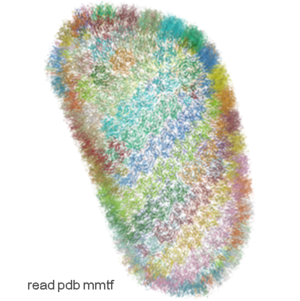 MMTF is now supported in the latest ICM version it does not have any limitation on number of atoms and is easier to use than the original PDB. 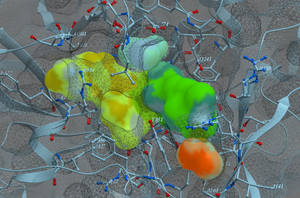 The image on the left shows the entire HIV-1 capsid (~2.4 million atoms PDB:3j3q). Support for GROMACS trajectory files (Tools/Play Trajectory). 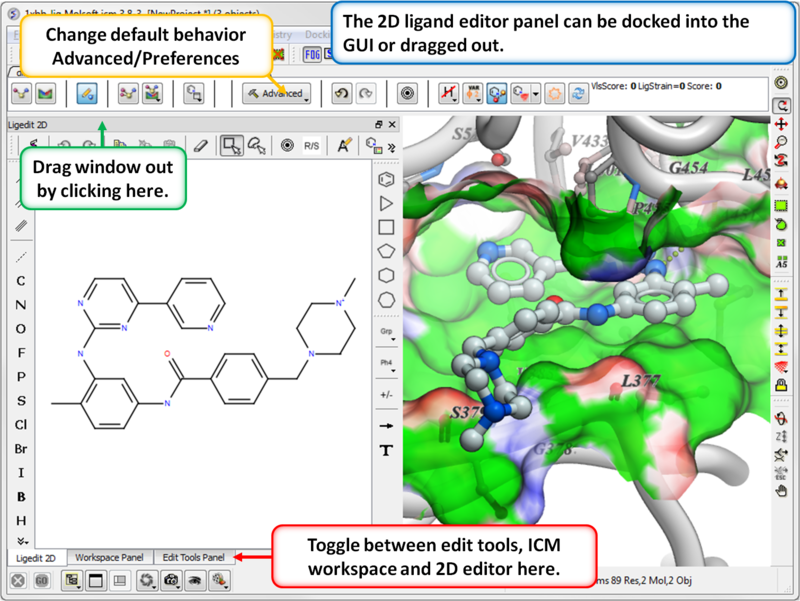 Flip boat to chair conformation in the Ligand Editor (Choose Advanced Button and select Apply Templates). Other templates will be added soon. 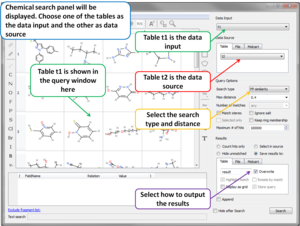 Direct link to the ChEMBL databases allows you to search and output chemical and activity data to a chemical spreadsheet [Documentation]. 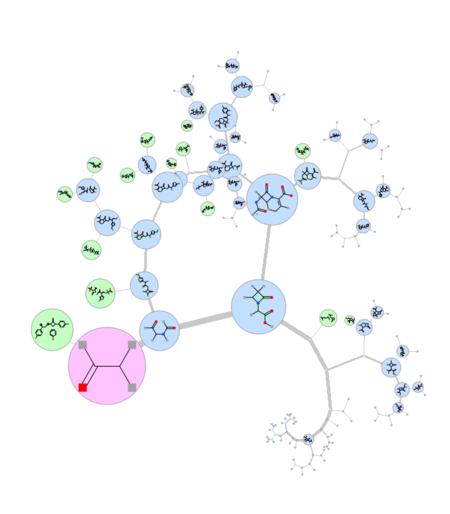 Direct link to the SureChEMBL chemical patent database [Documentation]. 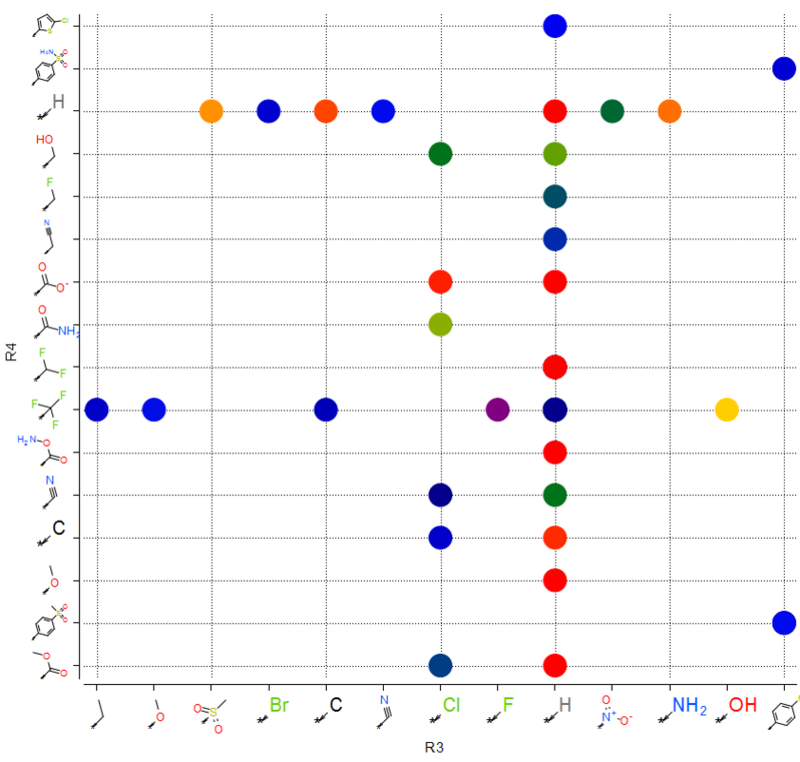 The first stage uses a simplified scoring function representing steric fit and hydrophobic/hydrophilic contact matching. 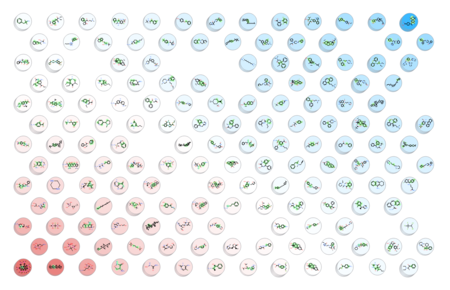 FFT is then used for translational search using systematic search of rotations from 60x27 (coarse) to 256x125 (fine) orientations. 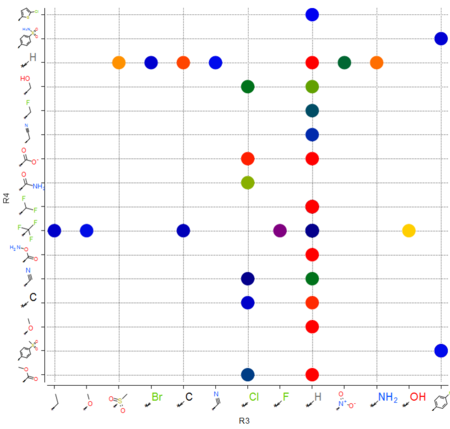 The second stage rescores the top 3000-20000 solutions with a more accurate energy function including electrostatics and SAS-based solvation. 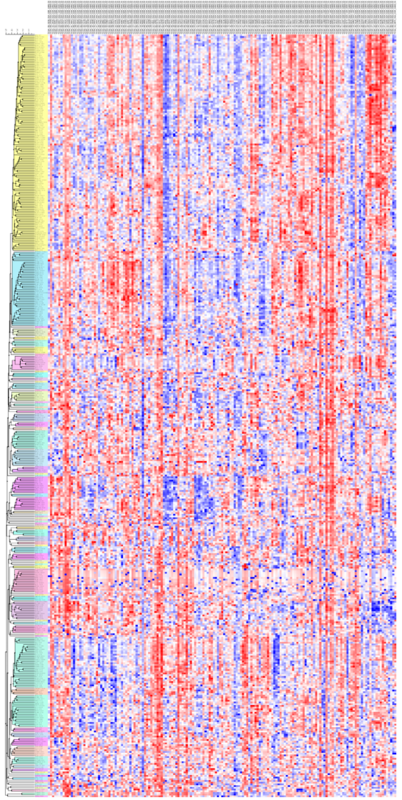 The conformations are then clustered using contact fingerprints. 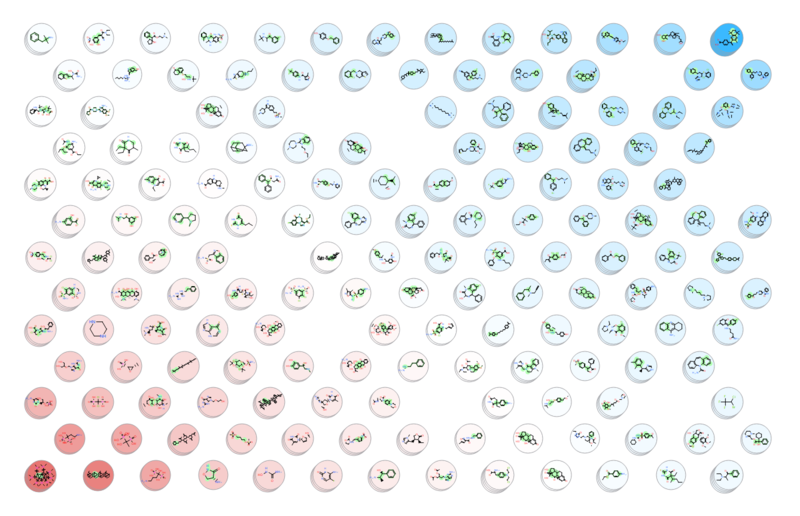 Surface and pocket meshes are now grouped and linked directly to the ligand object. 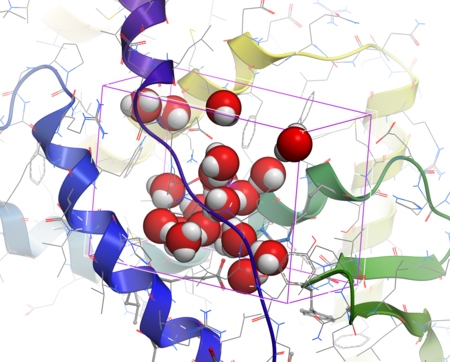 MERSi: Mutation Effects with Relaxation of Side-chains in Internal coordinates. 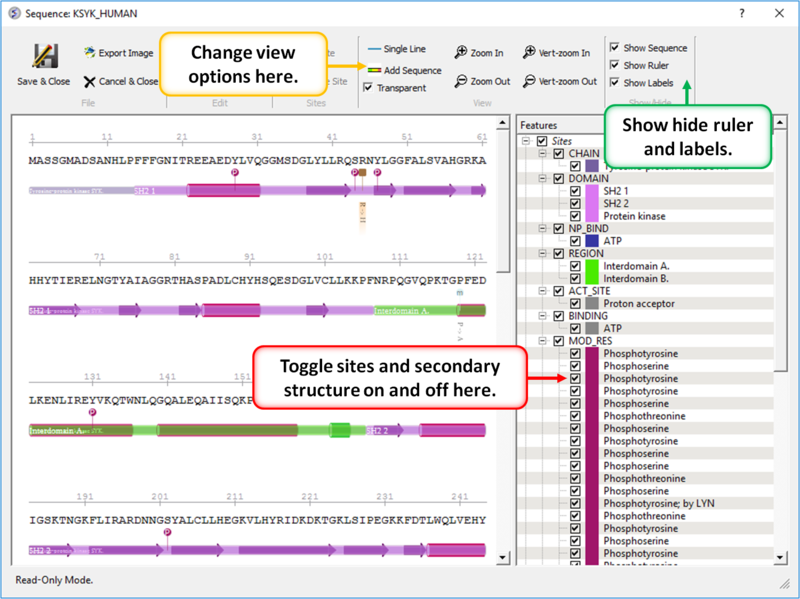 Build homology models with rigorous refinement in batch (see Homology/Batch Build and Refine). Build peptides and make mutations using unusual amino acids. 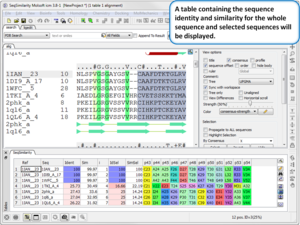 A table of 250 non-standard Amino Acids added and enabled for the mutation tool. 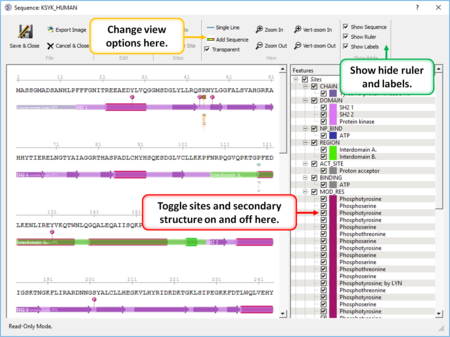 Sequence drag'n'drop between sessions is now supported. 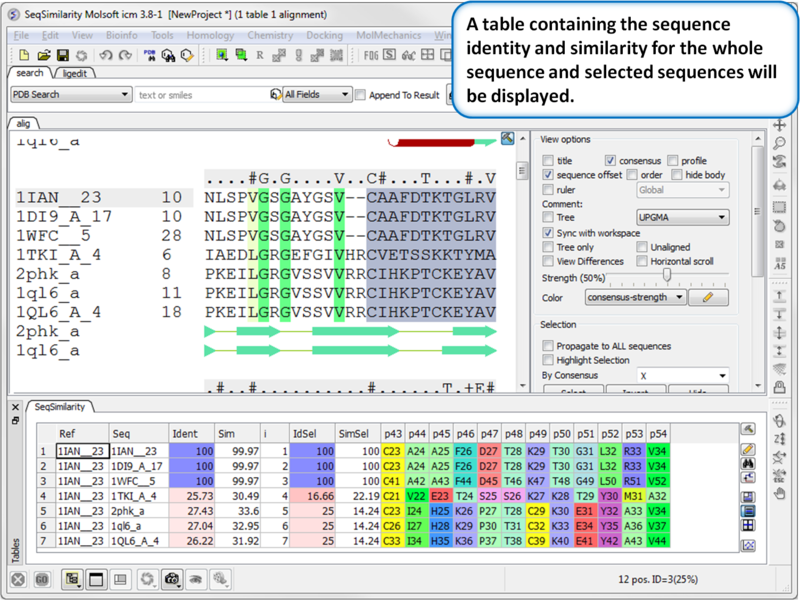 Multi-line sequence alignment annotations are now supported. 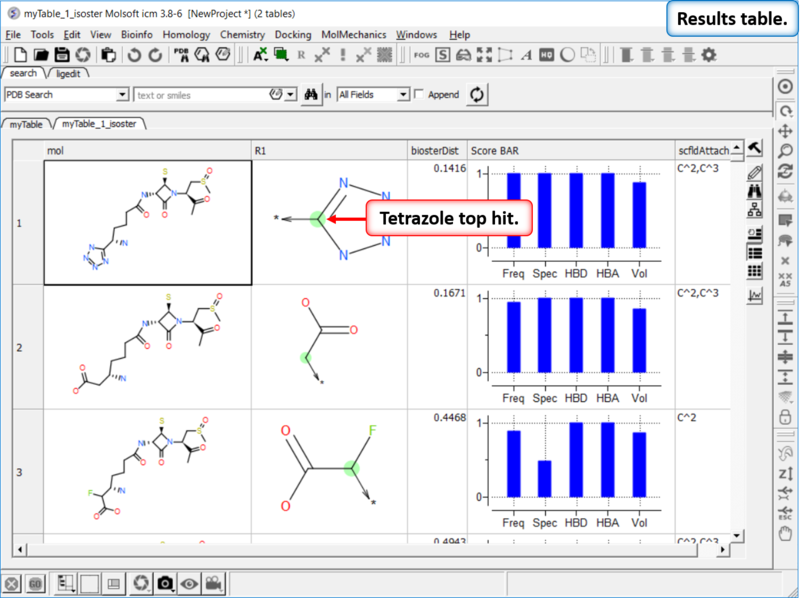 Extensive chemical dictionary is now available in the molecule editor. 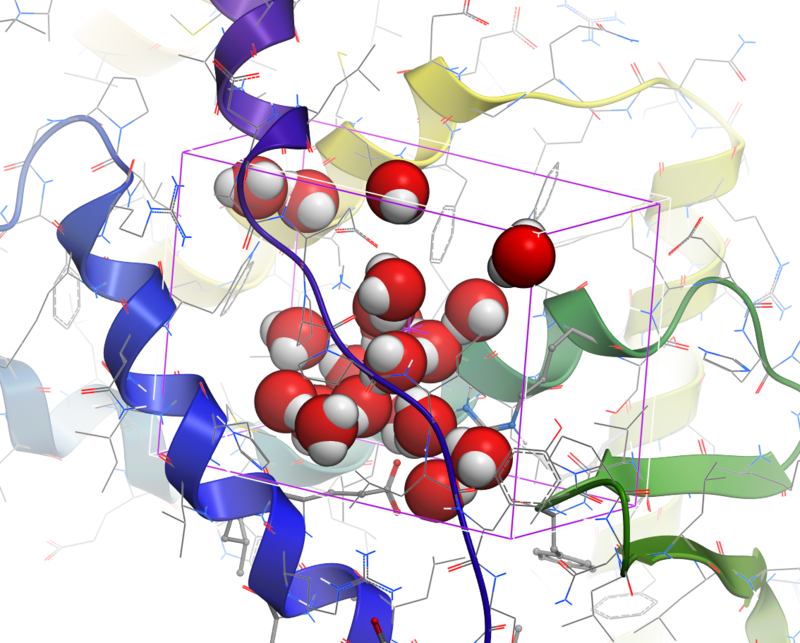 Direct search of the Crystallography Open Database (COD). 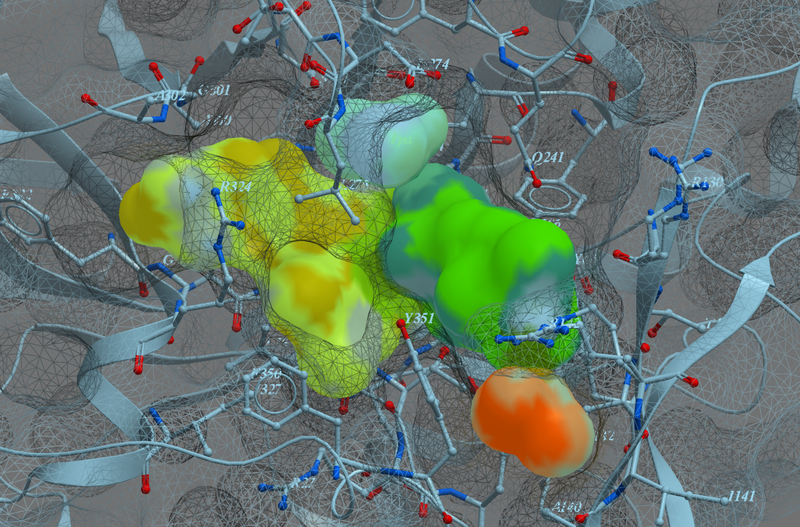 The COD is an open-access collection of crystal structures of organic, inorganic, metal-organic compounds and minerals, excluding biopolymers. 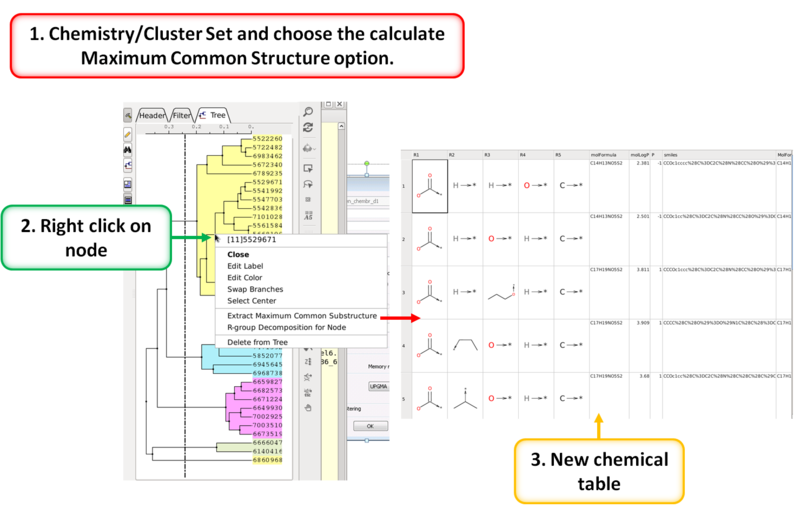 Match chemical 2D sketch to PubChem and extract PubChem CID or ID number (Use Insert Column and choose Function Chemical PubChem). 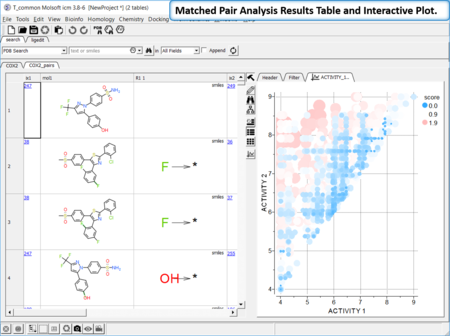 MolSoft is excited to release a new version of ICM. Please download the new version from www.molsoft.com/download.html. The Release Notes contain a complete list of new features and fixes but the key ones are listed below. Fingerprints Extended Connectivity Fingerprints (ECFP) have been added. 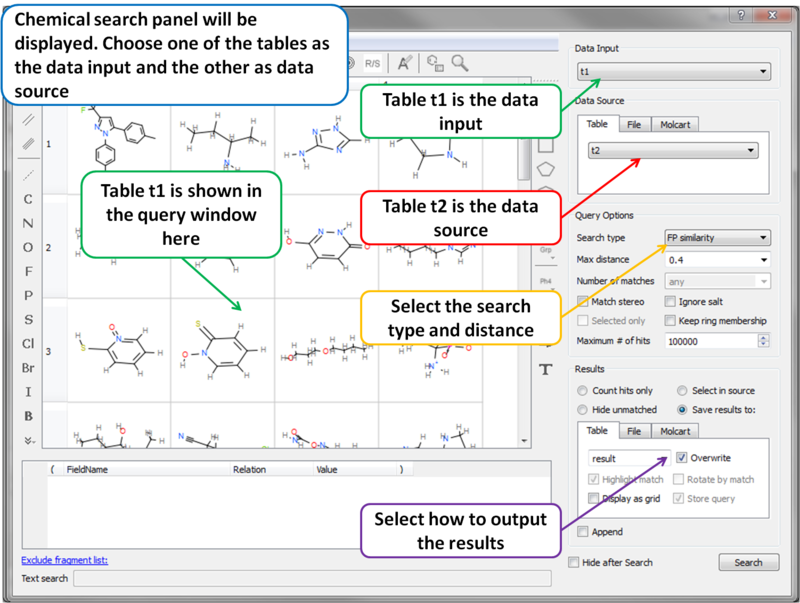 Chemical Search Chemical Search dialog allows to select an existing chemical table for Molcart or local search (see image). 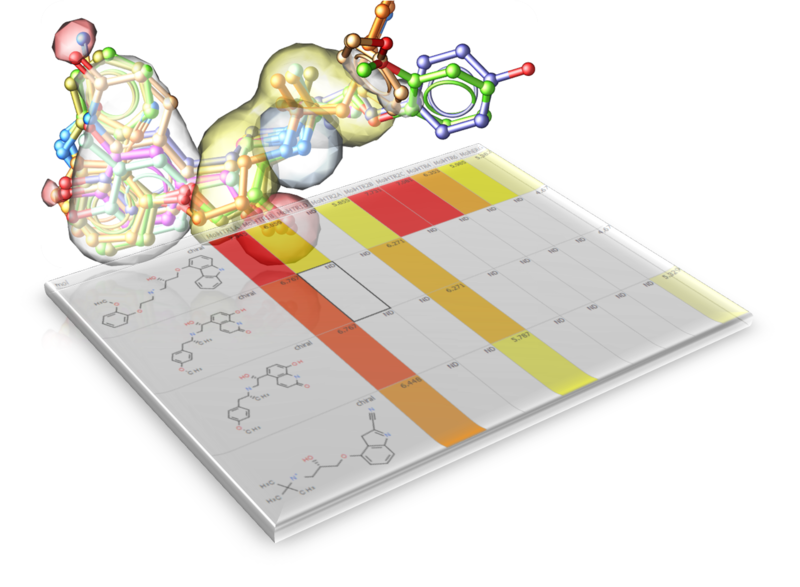 MolScreen is a set of high quality 2D fingerprint and 3D pharmacophore models for a broad range of pharmacology and toxicology targets. 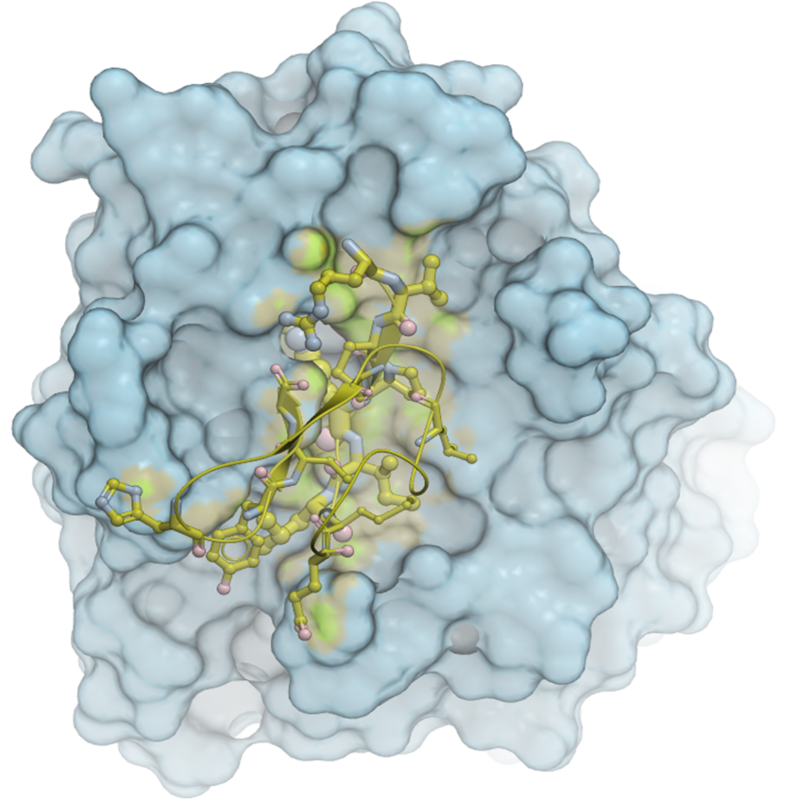 The models can be used for lead discovery or counter screening. 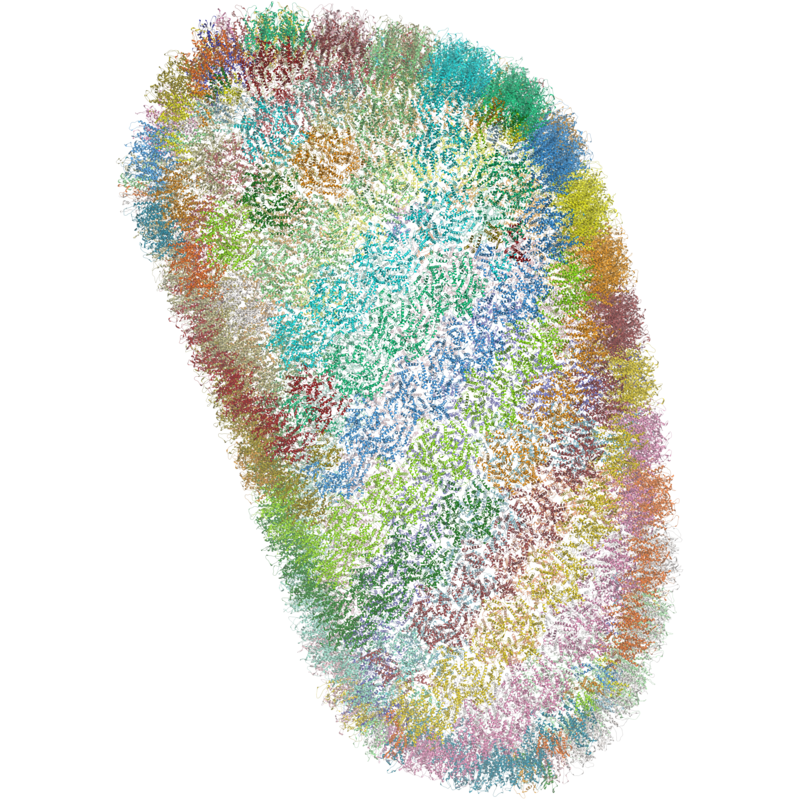 The models use MolSoft's 2D QSAR/Fingerprint and 3D Atomic Property Fields ( Totrov 2008 ) methods. 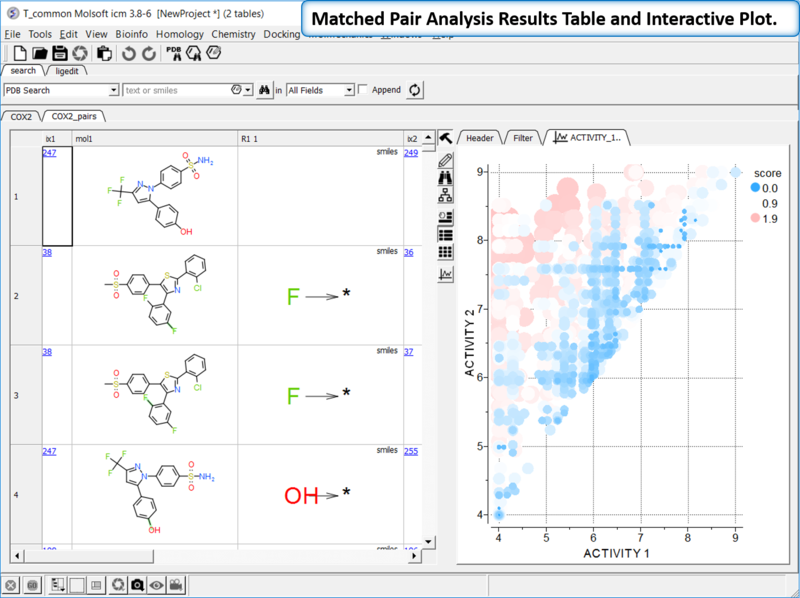 MolSoft is excited to announce the release of ICM version 3.7-2c. The new version can be downloaded from our support site here. The key new features are described below but for a detailed list please see the release notes. 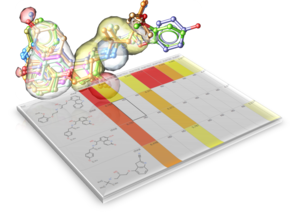 Atomic Property Fields APF is a 3D pharmacophoric potential implemented on a grid (Totrov 2008 and 2011 ). 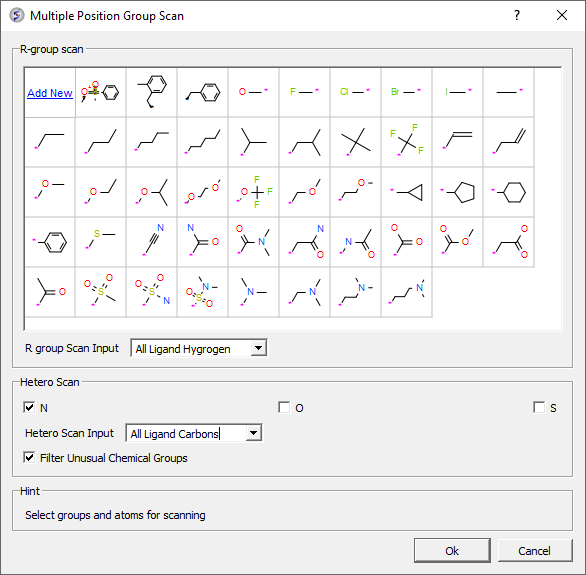 APF can be generated from one or multiple ligands and seven properties are assigned from empiric physico-chemical components (hydrogen bond donors, acceptors, Sp2 hybridization, lipophilicity, size, electropositive/negative and charge). 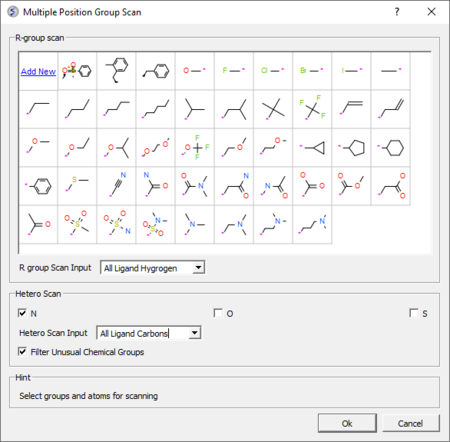 An independent study found that APF is most accurate method for chemical superposition and ligand-based 3D virtual screening compared to several other commercial and academic softwares. (Giganti et al 2010). 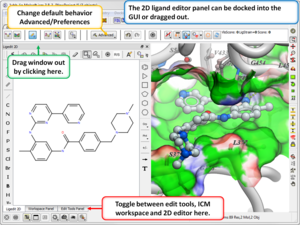 3D ligand Editor The ligand editor is a powerful tool for the interactive design of new lead compounds in 3D. 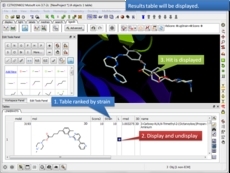 It allows you to make modifications to the ligand and see the affect of the modification on the ligand binding energy and interaction with the receptor. 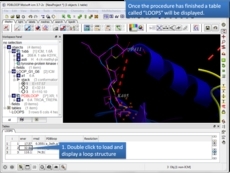 Protein Modeling Inside ICM there are many features for homology modeling and loop modeling. 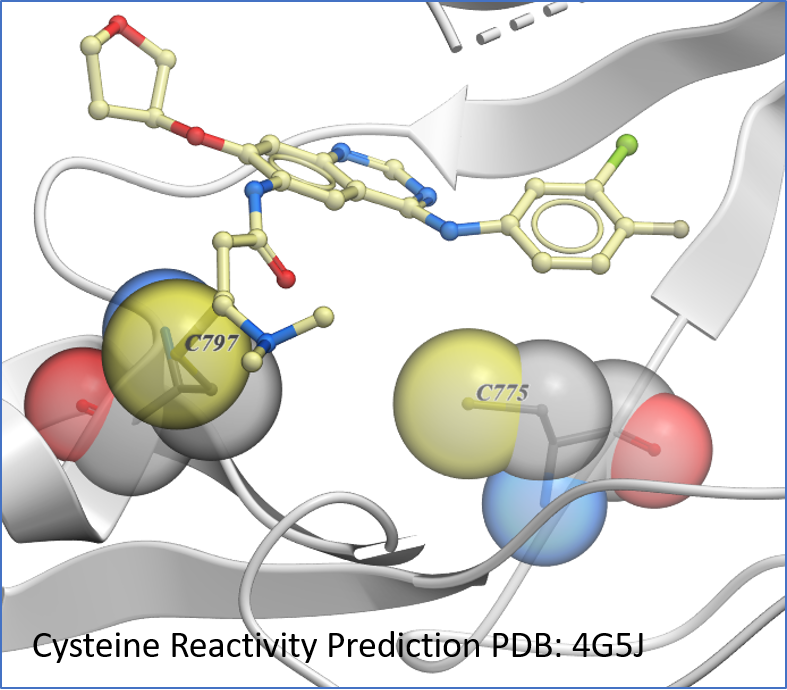 This new option can be used if you have a gap in your protein and you want to find loops in the PDB which fit the gap. Chemisty A couple of new options in the Chemistry menu. "Pipe-able" Scripting in ICM New options to pipe icm commands and scripts. Easy way to write pipe-able scripts (see $ICMHOME/molpipe/*.icm).